…Is the study or belief in the possibility of improving the qualities of the human species or a human population, especially by such means as discouraging reproduction by persons having genetic defects or presumed to have inheritable undesirable traits (negative eugenics) or encouraging reproduction by persons presumed to have inheritable desirable traits (positive eugenics). 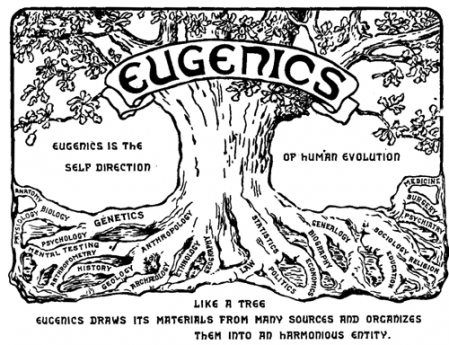 I expand the general definition of eugenics to include government-sponsored programs that are directed to manipulate the general population in the efforts to purify or clean the human race. There are three components to this paper. 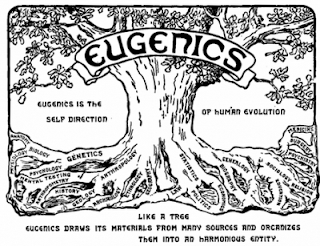 First, I give a brief explanation of eugenics and a brief historical background within the United States. Second, I discuss and explain the concept of free will and determinism outside of the concept of eugenics. It is a general assessment of the ideas behind the two opposing theories. The final component of the paper brings eugenics and free will together in a discussion that asserts two things. I argue that eugenics is first, a method of human cleansing and second that it is aimed at interrupting humanity’s free will.